If you're looking for a property to buy in France in 2018 (Property sales in France), you may have noticed advertisements that mention properties having a "dependence" included in the sale. Canny sellers are using the word "dependence" more and more to highlight their properties in today's competitive market. However, not all property adverts mention dependences, even if they exist. Many of those selected below don't mention the word dependence in the blurb, yet they actually come complete with dependences. French property with a dependence - what is it? So, you may be wondering now what, exactly, a dependence is. The meaning of the word, when related to property in France, is simple. A dependence is an extra piece of real estate that is included in the deeds of the property. However, this rather grand description doesn't always pan out in reality. 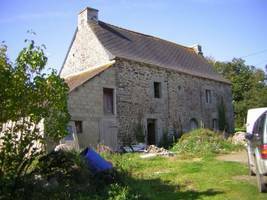 The dependence can be anything from a fully developed and functioning extra house or gite, through to a hard standing at the bottom of the garden where an outbuilding once stood. Some dependences are simply buildings or the remains of buildings that belong to a property, that are used or were once used in some way by the owner. For example, a barn or a garage may be classed as a dependence. A property in France is not willed to a chosen person, as in the UK, but can be split between several or even many surviving relatives. If, for example, there are three or more surviving children, only 25% of the estate is disposable according to the will of the owner. The children would receive 75% shared between them. Grandparents and grandchildren are also entitled to a share of a property under some circumstances. Even the children of an adulterous affair involving one of the owners of a property have protected rights. The value of a dependence can vary as much as the type. Clearly, an extra house is of benefit, as it can be used as a guesthouse providing extra accommodation for family and friends. Or it can be turned into a money spinning business as a gite or B&B (Owning Gîtes and Chambres D'Hotes (B&Bs) in France). Even if it is a ruin, it can, subject to planning consent, be built up into a viable property. Obviously, this has an advantage for a home owner and can increase the sale value of a property. 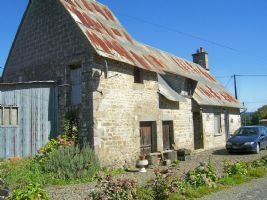 Planning permission will be required if the dependence is separate from the main house (Building or extending property in France). If it is attached, under the new regulations brought in in January 2012, the dependence may be developed into extra accommodation without planning consent up to an area of 30% of the size of the existing house (French Planning - new planning laws from 1st January 2012). If the dependence is not attached to the main house, planning permission should still be granted as long as the dependence was once used for residential purposes. Not all dependences can be developed into residential accommodation, so make sure you know the situation regarding this before you sign. As long as the dependence belongs to you, as the owner of the main property, there should be no real disadvantages to owning it. Old agricultural buildings may be unsightly, and if you have no use for them you may have to demolish them. But as long as they are not protected by conservation laws there should be little problem in doing this. You should check this possibility our before you buy. However, you need to be aware that just because a dependence appears to be sited on your property, it may not necessarily be included in the sale price of the property and may not be available to buy. Some dependences may belong to a different party altogether, who may not wish to relinquish their rights. 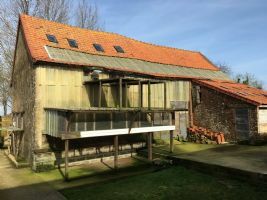 A farmhouse, for example, may be sold with land and the main house and outbuildings, while the farmer retains ownership of one barn and the right to access and use it. This can be quite disturbing for the owner of the main property. Imagine relaxing in your garden on a sunny day yet having a tractor rumbling past you with loads of manure every half an hour or so! A property with a dependence, whether or not it is called a dependence or a barn or outbuilding, can be a very wise buy. Take a look at the selection we've put together below, and see what you could do with your dependence. 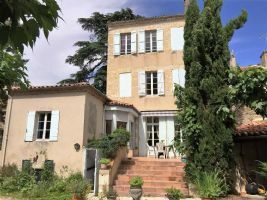 2018 is a good year to find a bargain property in France, and there are few better bargains than properties with dependences. 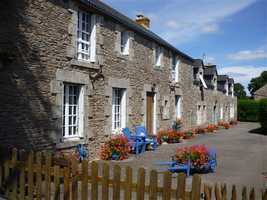 SOURDEVAL, in the countryside near the axis Granville / VIRE single storey stone. 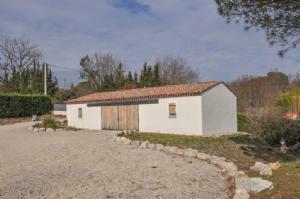 with attached and detached buildings on a plot of 4190 m2. Ground floor: living room of 20 m2 with fireplace and kitchenette, bedroom, bathroom with toilet. Outside: outbuilding to renovate of 47 m2, workshop 15 m2, independent dependence of 102 m2 to 4190 m2 of land. Alexandre Liachenko is pleased to offer you: EXCLUSIVE - at the end of a path, discover : an old soldiers relay (in dry stone) in front of a cave, dependence Wren, bakery, dovecote, box, rock, stream, hiking path. Quiet. Unique in the region! 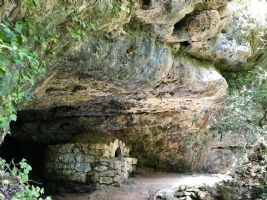 Strong tourism potential with 5 rooms, 4 entrees, with a rear garden and access to the cave / bread oven, and building, Wren, pigeon, rock. The 3 wineries are amenageables bati apartment in dry stone. 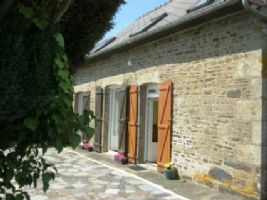 Beautiful brick farmhouse with barn and outbuildings in a beautiful village near Hesdin. In the centre of Condom, just a stone's throw from the shops and restaurants is this lovely 7 bedroomed house with a large 2 storey dependence, terrace and garden. With each of its 4 floors connected by a sweeping staircase, this could potentially be a fabulous chambre d'hote or a large family home. On the ground floor the entrance hall from the front door leads to a large dining room with butler's pantry, a large lounge, a study and toilet. 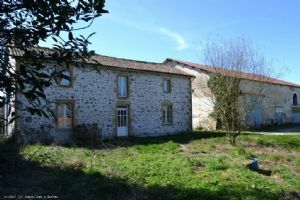 This delightfully restored 19th Century granite longère comprises of a main house, plus 2 gîtes and an outbuilding to convert to create a further 2 gîtes. 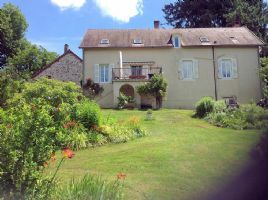 Situated in a small hamlet with excellent transport links to Josselin with all amenities, and only a 30 minute drive to the walled coastal city of Vannes this property has been a successful business for the past 8 years. This property offers immediate income with the potential to create a lot more. Very nice modern villa of almost 260m2, South orientated on a landscaped flat and fenced garden of 5000m2, built in 2009. It offers a superb pool of 11.5 x 5m with Jacuzzi, covered terraces and huge independent house/apartment of 120 m2! The villa consists of: a great living room with an open chimney, fully equipped kitchen, four bedrooms with two bathrooms and three toilets and a laundry room. It was The villa was built in high quality materials.